These ‘pasar malams’ are hosted in most towns and cities around Malaysia on a regular basis. It is rather surprising that these markets continue to thrive in a rapidly developing country like Malaysia, where glittering malls and shopping centers are mushrooming and becoming increasingly popular. A night market in Malaysia doesn’t necessarily open for business solely in the evenings, in fact several ‘pasar malams’ in Malaysia open as early as 3pm and remain open until 11 pm or even later. These night markets are perennially busy and bustling, centers of trade full of local flavors and colors and they draw patrons of all ages, especially office-goers who enjoy stopping by these ‘pasar malams’ on their way home from work. 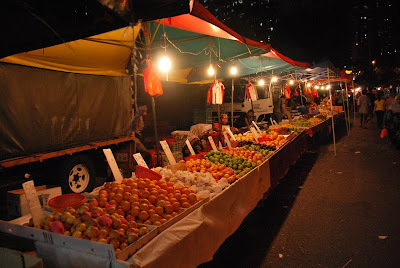 Fresh produce and fruits, along with products like apparel, toys, household wares and a wide array of accessories are offered for sale by the vendors at these night markets from their make-shift stalls gaily adorned with fairy lights and other trimmings. 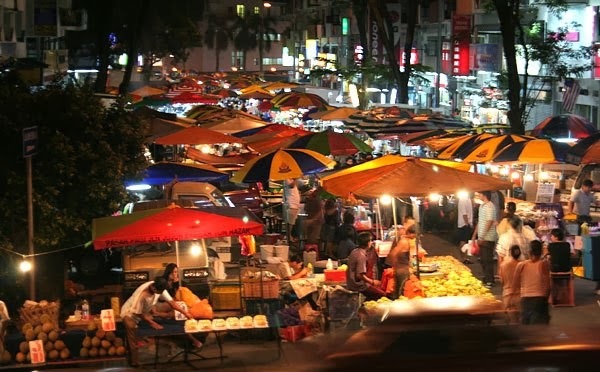 Regular night-market customers are known to opine that the goods offered for sale at the ‘pasar malams’ are usually priced slightly lower than at malls and supermarkets. 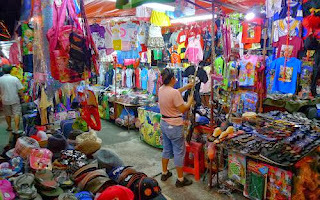 Further, bargaining is an accepted norm at these markets so patrons believe that they are getting a deal by shopping at ‘pasar malams’. A prominent attraction at pasar malams are its many cooked food offerings. Both locals and tourists enjoy visiting these markets to sample delicious native eats like Nasi Kerabu (fried chicken flavored with galangal and served with rice), Asam Laksa, Briyani, Satays, roti tarbus, ais kacang, noyna kuihs and much more. The Little India night market is held along KL’s Jalan Abdual Tunku Rahman ((Jalan TAR) on Saturday nights between 5pm and 11pm. The Petaling Jaya SS2 night market is held on Mondays from 6pm onwards. The Taman Connaught night market in Cheras, is thought to be the longest night market in Kuala Lumpur and is open for business daily. Penang’s famous Batu Ferringhi night market is open daily from 3pm onwards. The Lembangan Market is believed to be the best place to get a finger on the pulse of Sarawak. This market which features more than 700 stalls exudes a carnival-like atmosphere. 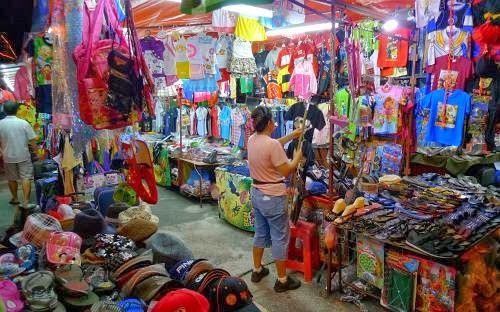 The vendors at this market offer a wide array of products like toys, garments, electrical products, dry and cooked foods along with a fascinating hodgepodge of products sourced from the jungles of Borneo, like snakes, snails, turtles, flying foxes, edible jungle fruits, ferns and more. If you enjoy shopping, better still if you enjoy haggling and snagging a bargain then a visit to a Malaysian ‘pasar malam’ is definitely recommended.